If you skipped the day your geography teacher told the class where North Eastham is situated, don't worry. With some help from us, you'll pinpoint it on a map in no time! This town lies 2 miles (3 kilometers) north of Eastham. You'll also find it 20 miles (32 kilometers) northeast of Hyannis. It is an area of Cape Cod that approximately 2,000 people call home. 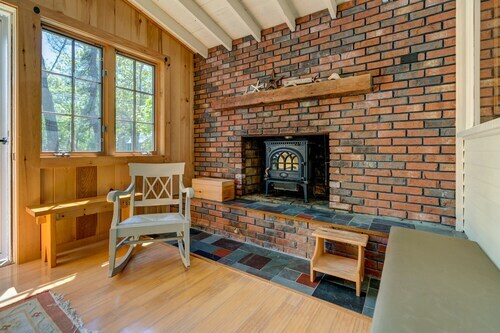 If you're organizing a vacation in North Eastham, you'll want to listen up! You can save loads by securing a Travelocity airfare and accommodation package. Simply select from upwards of 400 partner airlines and 665,000 places to stay. Way too many choices? We'll make it simple! From accommodations and airfares to car rentals and experiences, you've got the security of 24/7 personal assistance with our Customer 1st Guarantee. If you somehow find an even cheaper price on a different website, we will refund the difference^. We all know that circumstances tend to change. If you have to change your travel plans, you will not incur a fee from us. And so long as you get in fast, many accommodations don't charge fees either^. Life is one epic journey, so why not get out there and live it up in North Eastham? You can start by booking one of the 22 terrific properties on offer through Travelocity. It's not every day you take off on vacation, so why not splurge on a bit of luxury? The Mansion at Ocean Edge (2907 Main Street) and The Parsonage Inn (202 Main Street) are some of the top upmarket properties in the area. That being said, you don't plan a trip away to stay in your room all week. If you're after a more economical option, consider the Cove Bluffs Inn (25 Seaview Rd) or The Mainstay Motor Inn (2068 Route 6). Where do you fly into for North Eastham? The buzz of exploring a totally new place will never get old. Once you've landed at Barnstable Municipal Airport (HYA), the main hubs of North Eastham will be only 20 miles (32 kilometers) away. Can I rent a car in North Eastham? Forget the hassle of buses, trains and overpriced cabs. If you want to do some serious exploring while in North Eastham, it'd be wise to grab some wheels via Travelocity. We make it so simple that you'll be creating your favorite playlist in next to no time! Will you be arriving by plane? Arrange to pick up a vehicle at the beginning of your journey at Barnstable Municipal Airport. Budget is a nearby choice here. Avis is also worth checking out. Nauset Lighthouse is a notable attraction in this town. Spend a couple of hours here and then explore the surrounding areas to see what other gems you come across. From small seashells to bits of driftwood, there are heaps of interesting things washed up on a shoreline. Why not bring a bucket and see what you chance upon at Nauset Beach? Need some more options? Are you looking to alleviate the stress of your busy life? Savor the fresh air as you go for a romp through Cape Cod National Seashore. And that's not all. Grab some cheese and a bottle of vino and spend an afternoon at Cahoon Hollow Beach. It's one of the most picturesque places in the surrounding area for a relaxing picnic. North Eastham has an abundance of things to keep you busy, but if you want to see more of the region, you're in luck! You've got famed attractions right around the corner! 17 miles (27 kilometers) away is Provincetown. Many people use this nearby destination as a base to visit the famous attraction, the Pilgrim Monument. 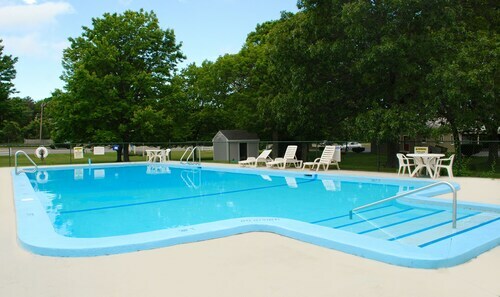 Situated in Eastham, this hotel is 0.2 mi (0.4 km) from Arnold's Mini Golf and within 3 mi (5 km) of Nauset Beach and Cape Cod National Seashore. Schoolhouse Museum and Salt Pond Visitor Center are also within 1 mi (2 km). 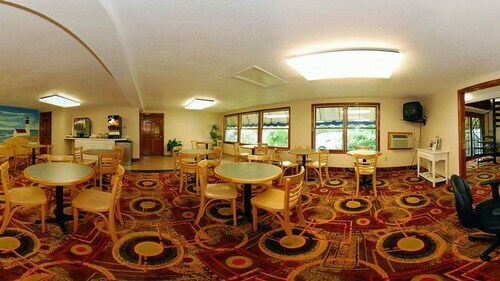 Situated near the beach, this hotel is 0.3 mi (0.5 km) from Poit's Lighthouse Mini Golf and within 3 mi (5 km) of Nauset Beach and Cape Cod National Seashore. Arnold's Mini Golf and Wellfleet Bay Wildlife Sanctuary are also within 2 mi (3 km). 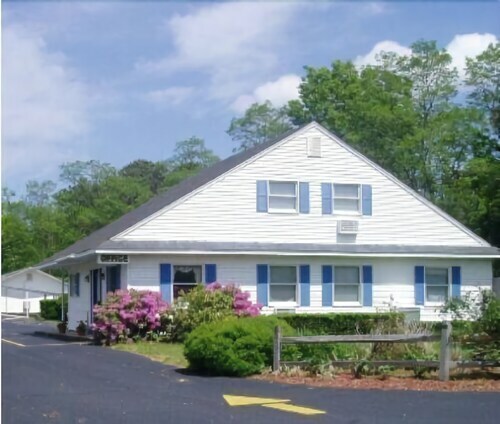 Situated near the beach, this motel is 0.3 mi (0.5 km) from Arnold's Mini Golf and within 3 mi (5 km) of Nauset Beach and Cape Cod National Seashore. Schoolhouse Museum and Salt Pond Visitor Center are also within 1 mi (2 km). Located in the heart of Eastham, this motel is within a 15-minute walk of Poit's Lighthouse Mini Golf and Wellfleet Bay Wildlife Sanctuary. Arnold's Mini Golf and The Three Sisters Lighthouses are also within 3 mi (5 km). 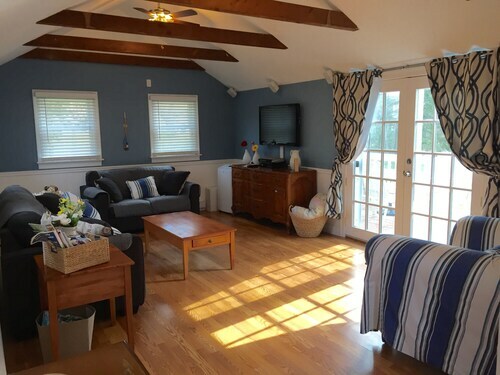 Situated in Eastham, this vacation home is within 2 mi (3 km) of Poit's Lighthouse Mini Golf, Arnold's Mini Golf, and Wellfleet Bay Wildlife Sanctuary. Schoolhouse Museum and Salt Pond Visitor Center are also within 3 mi (5 km). Situated in Eastham, this cottage is 0.4 mi (0.7 km) from Poit's Lighthouse Mini Golf and 3.1 mi (5 km) from Cape Cod National Seashore. Wellfleet Bay Wildlife Sanctuary and The Three Sisters Lighthouses are also within 3 mi (5 km). 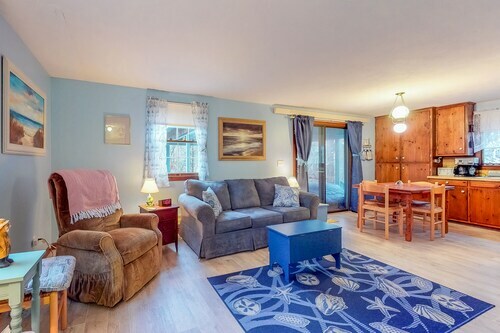 Cozy and Private Bayside Cottage w/ Beach Decor - Short Drive to the Water! Situated by the ocean, this historic vacation home is within 2 mi (3 km) of Arnold's Mini Golf, Poit's Lighthouse Mini Golf, and Schoolhouse Museum. Salt Pond Visitor Center and Eastham Windmill are also within 3 mi (5 km). Situated by the ocean, this cottage is 0.7 mi (1.1 km) from Poit's Lighthouse Mini Golf and 3.1 mi (4.9 km) from Nauset Beach. Arnold's Mini Golf and Wellfleet Bay Wildlife Sanctuary are also within 3 mi (5 km). Dollar Rent a Car at 2401 Turnage Blvd.